It’s no secret that my stomach and I haven’t always been best of friends. For the past 4 years I’ve had to cut out dairy and gluten in order to soothe my stomach and digestive system. Overall, the pros far outweigh the cons. Except when it comes to the holidays. All of the amazing food. The breads. The COOKIES! It turns out that I’m not alone in my dietary struggles. 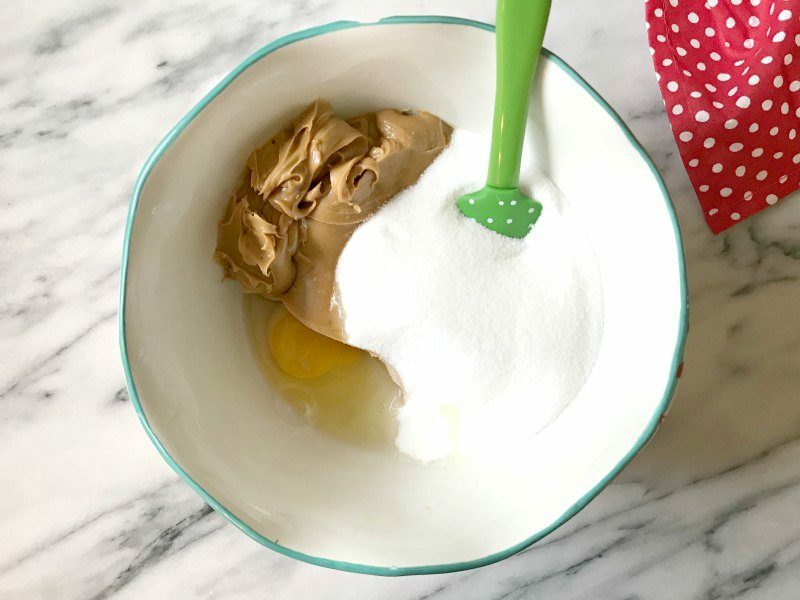 So I’m teaming up with Med-IQ to share this amazing cookie recipe for those of us who have to avoid dairy or gluten. Med-IQ is an accredited medical education company that provides an exceptional educational experience for physicians, nurses, pharmacists, and other healthcare professionals. I’m also going to share more information about IBD, or inflammatory bowel disease—disorders of the digestive tract characterized by long-term (chronic) inflammation. Although I don’t have IBD, more than 1.6 million people were treated for it in 2015. And 5% of those were kids. 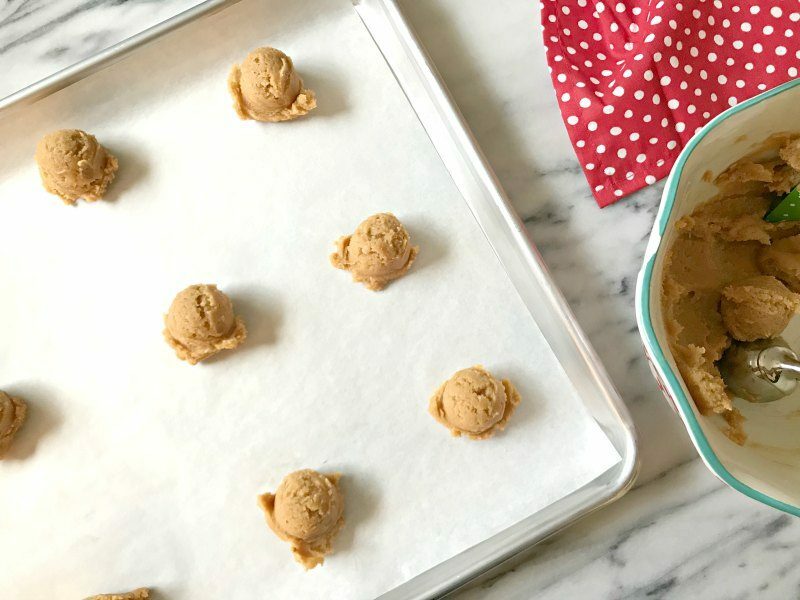 Before we talk about the signs and symptoms of IBD—and what to do if you think you may have it—let’s talk more about these cookies. They’re so good, and they take about 12 minutes TOTAL to make. Yes, that includes bake time. And there are only three ingredients. 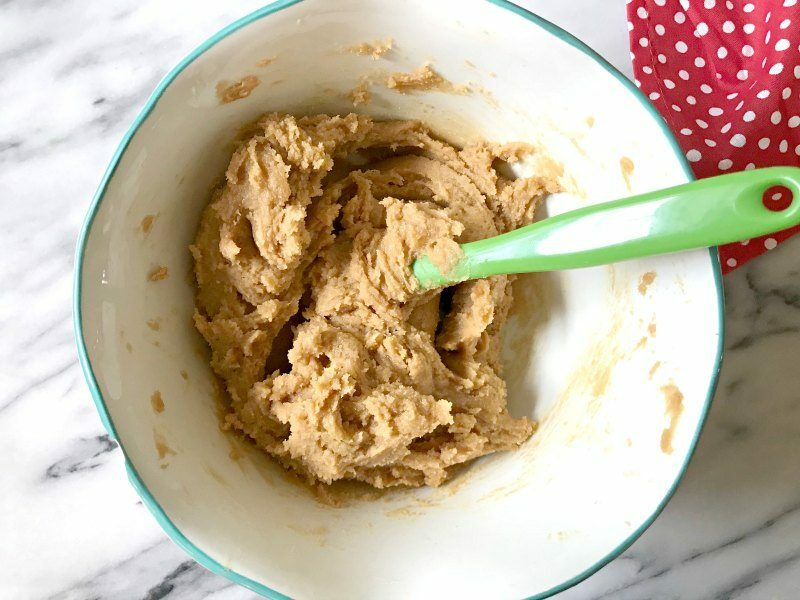 I bake them because they’re gluten and dairy free, but I have several friends who use the recipe because it’s so fast and simple and great to make with kids. And—you know—because the cookies taste so good. 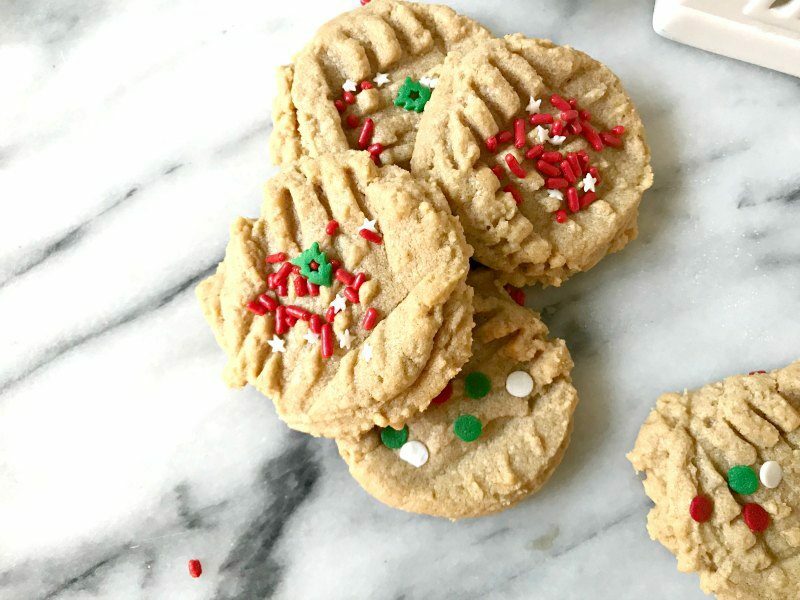 You’ll never find cookies that are easier to make. 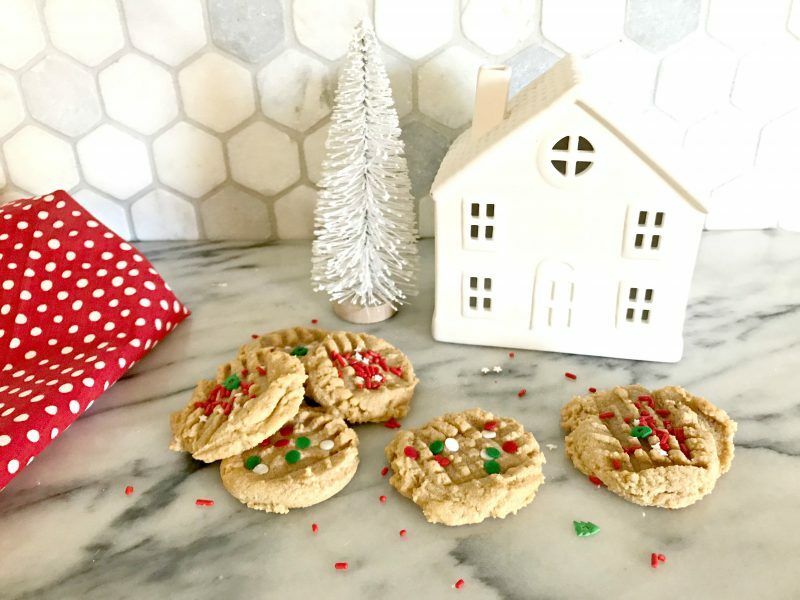 These are so simple that I’m even bringing them to a holiday cookie exchange later this month. SEE? I told you this was ridiculously easy. 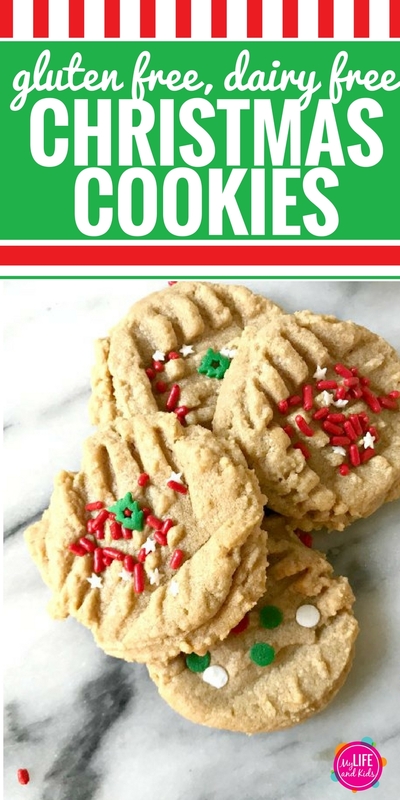 Mix all three ingredients together and drop them by the spoonful onto a cookie sheet. 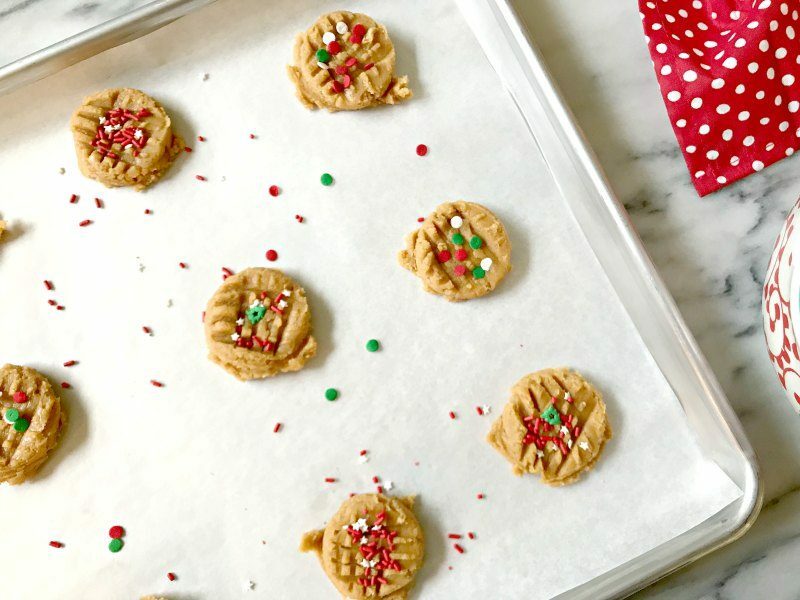 Flatten them with the back of a fork, and add the holiday sprinkles of your choice. Bake them at 350ºF for 8 minutes. Okay, let’s get back to talking about IBD. I’ll sprinkle in some more pretty pictures of these Christmas cookies just in case you feel uncomfortable talking about diarrhea. Here’s the thing. Having digestive problems isn’t just about spending all your time in the bathroom. It can seriously impact your overall well-being, your relationships, your self-esteem. And if you’re a kid—well—I think we can all agree that those things are just compounded. The two most common types of IBD are Crohn’s disease (CD) and ulcerative colitis (UC). The main difference between these two? Are you still with me? Here’s another cookie picture to keep you going. If you are facing a diagnosis of IBD, the good news is that there is a treatment plan that can help to manage (or even eliminate) your symptoms. Certain foods and beverages can aggravate symptoms, so avoiding them (especially during a flare-up) may alleviate some IBD symptoms. Are you still with me? You’re doing great! Here’s another cookie picture. I recently had the opportunity to speak with Stephen Hanauer, MD, Professor of Medicine at Northwestern University Feinberg School of Medicine and Medical Director of the Digestive Health Center, Northwestern Medicine, about IBD. You can watch our entire discussion in the video below. These links are being provided as a convenience and for informational purposes only; they are not intended and should not be construed as legal or medical advice nor are they endorsements of any healthcare provider or practice. Med-IQ bears no responsibility for the accuracy, legality, or content of the external site or for that of subsequent links. Contact the external site for answers to questions regarding its content. I was compensated by Med-IQ through an educational grant from Takeda Pharmaceuticals U.S.A., Inc. to write about the signs and symptoms of inflammatory bowel disease. All my opinions are my own.